LAS VEGAS — A gunman in a high-rise hotel overlooking the Las Vegas Strip opened fire on a country music festival late Sunday, killing at least 50 people and injuring hundreds of others in the deadliest mass shooting in modern American history. The shooting marked the latest outbreak of gunfire and bloodshed to erupt in a public place, again transforming a seemingly routine night into one of terror. The carnage in Las Vegas surpassed the death toll of 49 people slain in June 2016 when a gunman in Orlando, who later said he was inspired by the Islamic State, opened fire inside a crowded nightclub. Lombardo said “over 50” were killed in this latest shooting rampage, though that toll could rise, as he noted that police were still investigating the scene. Police also said an estimated 406 people were taken to area hospitals after the shooting. Authorities did not specify how many of the people were wounded by gunfire or injured in the chaotic frenzy that followed. Paddock, 64, was found dead in his hotel room by Las Vegas SWAT officers who responded to the call about the shooting, police said. They believe he took his own life. Under the neon glow and glitz of the Vegas Strip, thousands of concertgoers who had gathered for a three-day music festival dove for cover or raced toward shelter when the gunfire began at about 10 p.m. Sunday. Police said more than 22,000 people were at the concert when Paddock, who had checked into the Mandalay Bay last Thursday, began firing round after round. Recordings of the attack suggested that Paddock used an automatic weapon in the attack. He was found with more than 10 rifles, Lombardo said. As the Las Vegas police investigated the horror that had unfolded on the Strip, they also faced a grim tragedy within their own ranks. The dead included an off-duty Las Vegas police officer, the department said Monday morning. Two other officers who were on-duty were injured, police said; one was in stable condition after surgery and the other sustained minor injuries. “It’s a devastating time,” Lombardo said at a news conference early Monday. 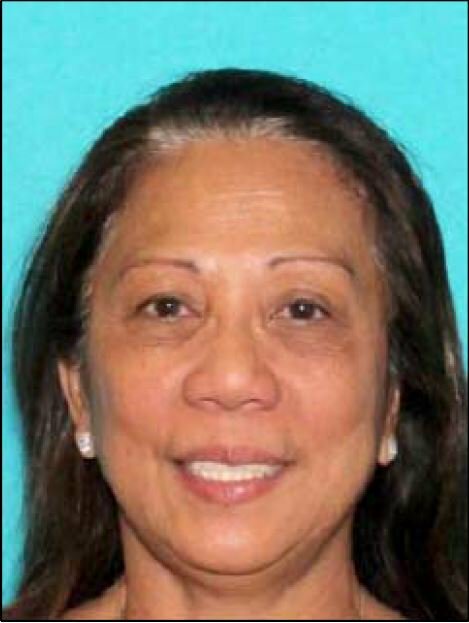 In the initial chaotic aftermath of the shooting, authorities had searched for a woman named Marilou Danley, described only as Paddock’s “traveling companion.” Lombardo said during a news briefing Monday morning that investigators spoke with Danley, who was found outside the country, and do not believe she was involved in the shooting. Danley’s relationship with Paddock was not immediately known, but they lived at the same address in Mesquite, Nev., according to public records. Lombardo said police in Mesquite were entering Paddock’s home to conduct a search on Monday morning. The gunman was previously known to local police for past run-ins with law enforcement, according to people familiar with the investigation. However, police in Las Vegas had only minimal interactions with Paddock before the shooting, Lombardo said at a news briefing. Federal authorities responded to the shooting scene, assisting local law enforcement officials with the investigation. The Bureau of Alcohol, Tobacco, Firearms and Explosives said it dispatched agents to the scene, while FBI criminal investigators — rather than those in the bureau’s National Security Branch — are aiding local police in the case, according to a person familiar with the matter. That is likely an indication authorities believe there is no nexus to international terrorism. President Trump tweeted “condolences and sympathies” for the victims and their families hours after the shooting, and he was expected to speak later Monday morning. The shooting occurred at the end of the Route 91 Harvest Festival, a three-day country music concert held over the weekend. The concert grounds are adjacent to Mandalay Bay, a sprawling casino on the southern end of the Strip. Videos posted from people who said they were at the scene showed people screaming and running for cover amid the sound of gunshots that seemed unending. Ritchie traveled with Megan Greene, 19, for the concert, and the two were separated when people began fleeing. They found each other hours later. “He was just lifeless on the ground,” he continued. Benge and his sister threw themselves on the ground as the gunfire continued and then ran for the exit. “My jeans are covered in someone’s blood, my T-shirt is covered in someone’s blood, my sister’s whole leg was covered in blood,” Benge said. “We thought it was fireworks,” she said, a dazed look on her face and a bandage on her injured knee and shin. “I looked up at the Mandalay Bay. I could see the green light every time the gun fired. We ran for our lives. A friend came with a mini bus, so Tracy and another friend ran outside to the vehicle, terrified to go out on the street again. “Who thinks people would do something like this in America?” Tracy said. Vanessa and Philip Dyer came from Lowestoft, England, and got married Sunday in Las Vegas. They were out celebrating after the wedding, waking the Strip, when they first heard gunfire. Corianne Langdon, 58, a cab driver in Las Vegas for the last six and a half years, said she was about seven cars back in the taxi line at Mandalay Bay when the gunfire began. She began driving away and saw police officers crouched down in the streets facing the hotel and then, as she turned a corner at Las Vegas Boulevard, saw what she believed were hundreds of people running away from the concert – some jumping the fence on the side of the venue. A young couple jumped in her cab, then another three or four people begged to get in as well. Those injured in the shooting also included an off-duty officer with the Bakersfield Police Department in Southern California, who was taken to a hospital for non-life-threatening injuries, according to a news statement. Several of the department’s officers were off-duty and attending the concert when the gunfire erupted. The shooting comes as security measures at many music venues have been boosted in recent years after concerts were targeted in terror attacks. In May in northern England, a bomb exploded at a concert by American singer Ariana Grande in Manchester, killing 22 people; in November 2015, Islamist attackers opened fire at a rock concert in Paris as part of coordinated attacks that left 130 dead. In both of those cases, the Islamic State claimed credit for the attacks. Gunfire had also erupted at a casino in Manila in June, when a 42-year-old man from the Philippines opened fire and killed 37 people. Police said the attack was motivated by gambling debts and other personal problems facing the gunman, who killed himself with a self-inflicted gunshot wound. The Islamic State also claimed responsibility for the attack, but officials repeatedly denied it was terrorism-related. Berman reported from Washington. Travis M. Andrews, Brian Murphy, Wesley Lowery, Devlin Barrett, Matt Zapotosky and Julie Tate contributed to this report, which will be updated throughout the day.